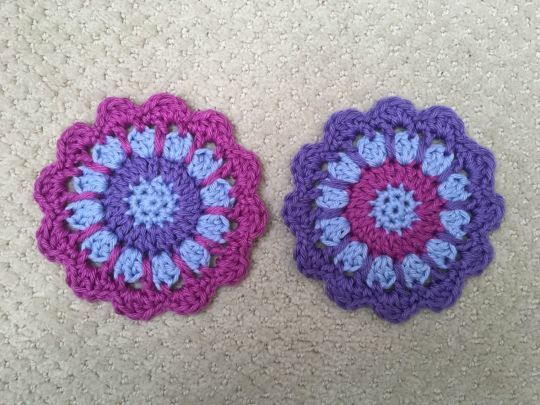 I used free pattern for these coasters. Honestly,this is my first project in circle, my first mandala project. I have made circle work before but it was as a base of a bag.